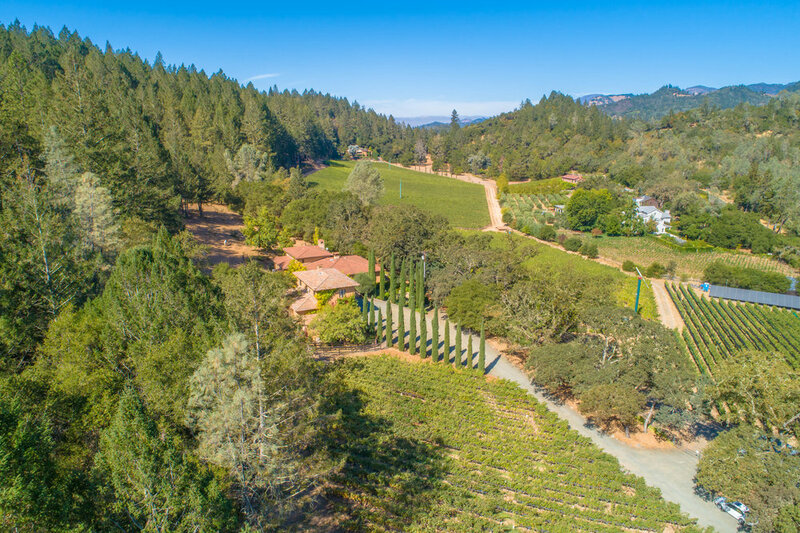 Magnificent vineyard estate set on 10.3 acres at the base of Glass Mountain in St. Helena. 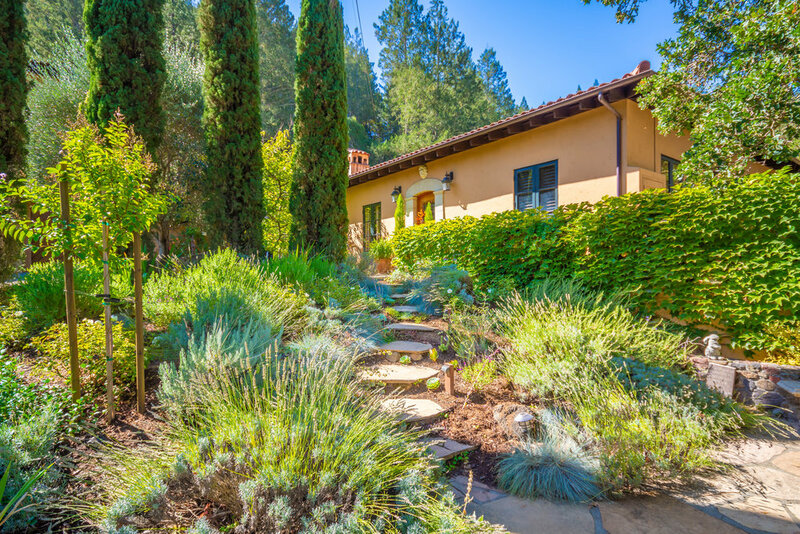 Mediterranean villa with four acres of ultra-premium Cabernet Sauvignon generating substantial income. Soil analysis and plans to plant another one and a half acres are available and 10.3 acre property creates possible winery potential. The main house consists of three bedrooms, two bathrooms and two very large living areas that open to spacious outdoor verandas perfect for entertaining. 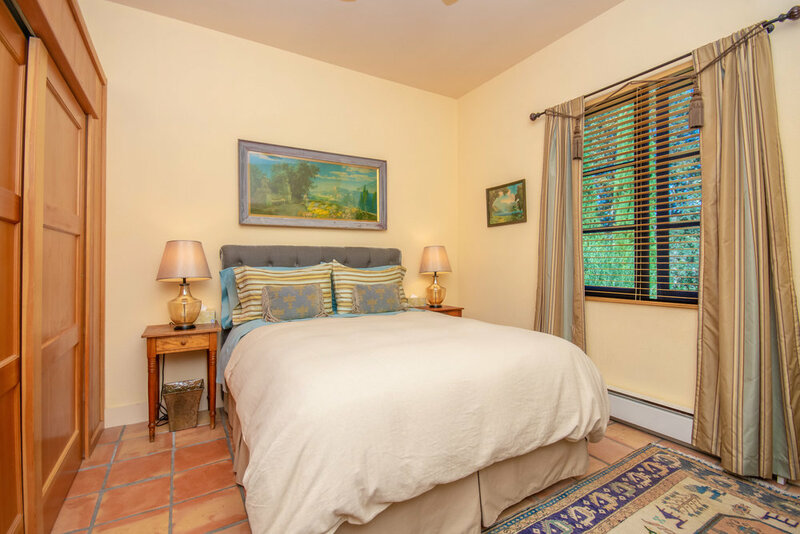 Master suite includes spacious bedroom with cathedral ceilings and access to patio. Expansive master bath includes jacuzzi tub, double tile vanity, and oversized shower in addition to large walk-in closet with built-in shelving. 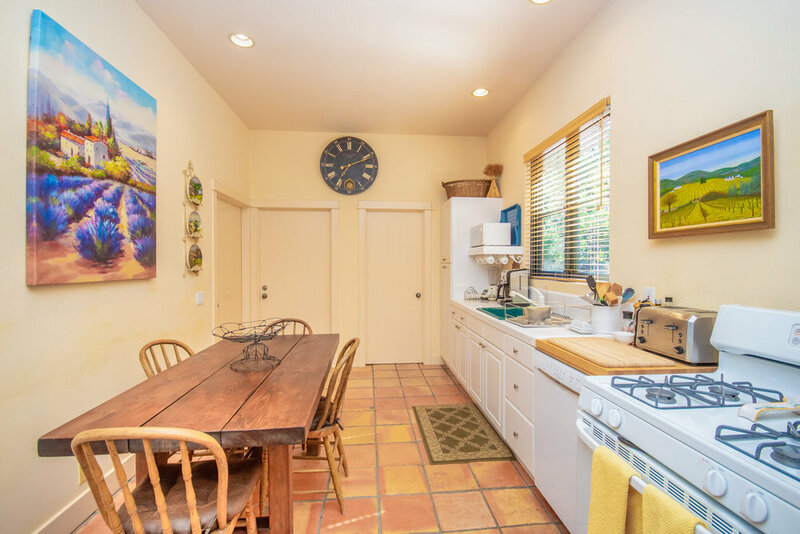 Chef’s kitchen includes Wolf 8-burner range, two ovens, two dishwashers, two refrigerator/freezers, and a farm sink overlooking rear patio. The kitchen opens up to a dining area and living area with fireplace and also has french doors that open to patio. 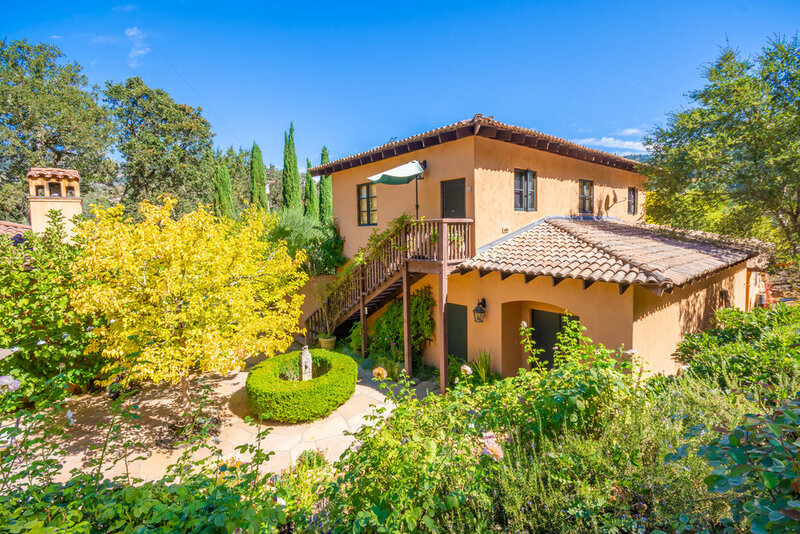 A detached three car garage, massive wine cellar and two bedroom, one bathroom guest house with kitchen round out the residence features. 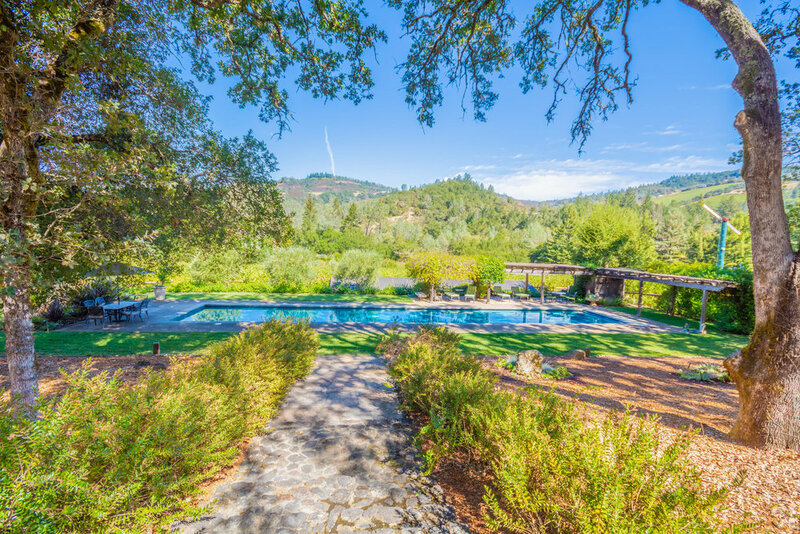 Outside, the eighty-foot pool over looks rolling vineyards and mature oak trees. 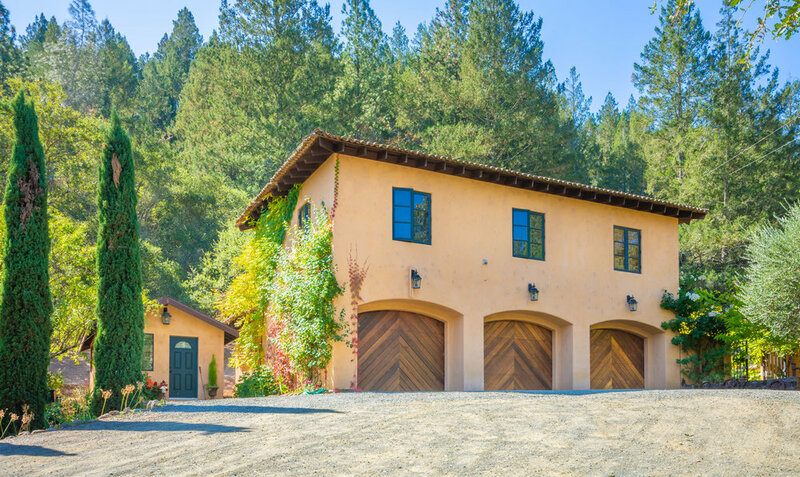 The property also includes a fruit tree orchard, large barn for horses, production, car barn or workshop. 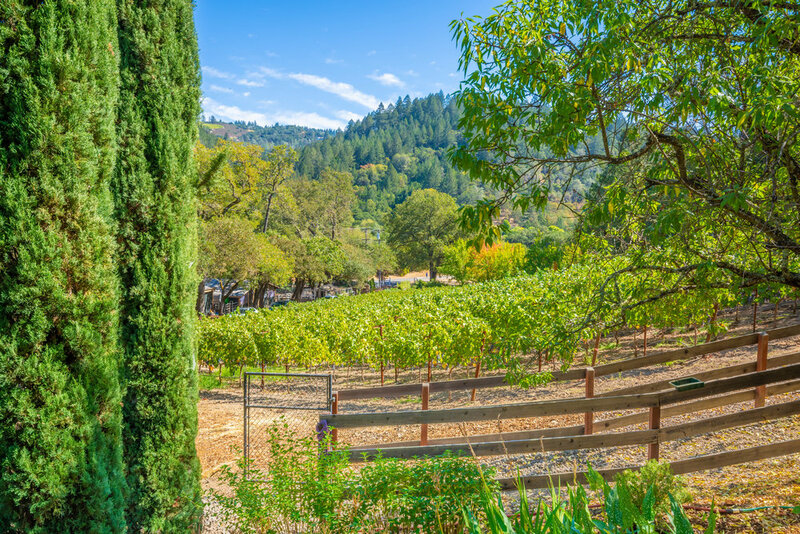 Moments away from downtown St. Helena shops and restaurants, and world-class wineries of Napa Valley.